Our Health Nut and Registered Dietitian knows that diet plays an important role in managing cholesterol. Whether you’re trying to understand the relationship between cholesterol and health, or just looking for heart-friendly snacks, you’ve come to the right place. Cholesterol gets a bad rap, although it’s essential for the normal function of our bodies. This wax-like substance helps us make hormones, vitamin D, and promotes food digestion. It’s found throughout our bloodstream and in all of our cells, and, at normal levels, that’s a good thing. However, when too much cholesterol builds up in the blood and starts to block arteries, that’s when we have cause for concern. To understand the body’s love-hate relationship with cholesterol, let’s take a look at the way it travels throughout the bloodstream. Cholesterol is carried by two different types of lipoproteins - low-density lipoprotein (LDL) and high-density lipoprotein (HDL). High levels of “LDL” cholesterol, also referred to as “bad” cholesterol, can lead to the build-up of cholesterol in the arteries. This accumulation of plaque causes the arteries to narrow and in turn restricts blood flow, which increases the risk for coronary heart disease, stroke, and other complications. The other kind, “HDL” cholesterol, is referred to as “good” cholesterol because it is much friendlier by nature. HDL cholesterol doesn’t clog arteries, but instead travels throughout the bloodstream, removes LDL cholesterol, and sends it to the liver to be disposed. Our good “HDL” cholesterol also repairs damaged blood vessels and can help combat heart disease. That’s why it’s important to keep your LDL levels low, and your HDL levels high. People with high LDL cholesterol levels are at risk for developing coronary heart disease. High cholesterol contributes to the build-up of plaque in the arteries, a condition known as atherosclerosis. This narrowing of the arteries is dangerous because it limits blood flow. The blockage of blood flow to the heart can result in a heart attack, and blockage to the brain can result in a stroke. A condition known as peripheral vascular disease is caused by the narrowing of arteries outside of the heart or brain, such as in the legs. Other conditions related to high cholesterol include diabetes and high blood pressure. People with diabetes tend to have lower “good” cholesterol and higher “bad” cholesterol due to the sticky nature of LDL particles in their bloodstream. High blood pressure and high cholesterol also go hand in hand because narrowed arteries cause the heart to work harder and strain to pump blood through them. This results in higher than normal blood pressure, also known as hypertension. How Can I Manage My Cholesterol Levels? 1) Limit your intake of foods that contain high levels of saturated fat and stay away from trans fat. Red meat and dairy products such as butter and cheese contain high levels of saturated fat. The American Heart Association recommends reducing the saturated fat in your diet to no more than 5 to 6 percent of total calories. For reference, if you consume 2,000 calories per day, that would be about 11 to 13 grams of saturated fat. To avoid trans fat, you should stay away from any foods with partially hydrogenated oil as an ingredient. 2) Focus on fiber (especially soluble fiber). It’s essential to get enough fiber in your diet. Sadly, the average daily intake of fiber in the United States is only about 15 grams - much lower than the daily recommended levels. Snacking on nuts and dried fruit can help you meet your daily fiber goals. The recommended dietary reference intake (DRI) for dietary fiber is 14 grams of fiber per 1000 calories or at least 25 grams per day for adult women and 38 grams per day for adult men. These DRI’s are based on the amount of fiber observed to protect against heart disease. 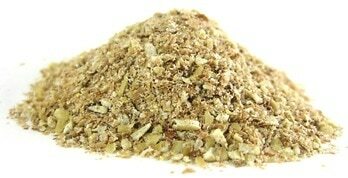 Soluble fiber is very important for anyone looking to improve their cholesterol levels. Soluble fiber attracts water, slows digestion, and can help lower bad (LDL) cholesterol levels by interfering with the absorption of dietary cholesterol. For overall health, look for foods that provide a source of both soluble and insoluble fiber, like chia seeds. 3) Be active. Studies show that regular physical activity can help lower LDL “bad” cholesterol and raise HDL “good” cholesterol. One reason for this is because exercising can help you lose and maintain weight, which decreases the amount of LDL cholesterol in the blood. Other research suggests that exercise can actually help your body expel this type of cholesterol. As you focus on your cholesterol levels, remember to choose foods and snacks that are low in saturated fat and boost overall fiber intake. All of the snack suggestions listed below are RD-approved. However, this page is for informational purposes only and shouldn't replace medical advice. These tasty raw hazelnuts provide soluble fiber and are a good source of protein. Try snacking on raw hazelnuts or chopping them up to add to whole grain quick breads or hot oatmeal. Soy beans offer 5 grams of dietary fiber per serving. Their soluble fiber can help lower cholesterol levels. Try snacking on roasted soy beans or mixing them with your favorite dried fruit. Okra chips are the nutritious veggies in crunchy snack form! Try adding them to salads as a healthy alternative to croutons. Each serving provides 3 grams of health-promoting fiber. These fresh and chewy dried apples are one of the healthiest ways to satisfy a sweet tooth. They pack a hearty 5 grams of fiber per serving, so enjoy them straight out of the bag. You can also chop them up and toss them in baked goods, or add them as a topping to oatmeal. Each serving of our organic wild pear rings has 6 grams of fiber per serving, including the soluble type. Enjoy these delicious pear rings as a snack or chop them up to add to salads, trail mix, or hot cereal. Organic dried oranges are a unique dried fruit and a great source of soluble fiber, which makes them a perfect cholesterol-lowering snack! Try adding chopped dried oranges to hot cereal for a citrus flavor. For a selection of different fiber-packed fruit, grab a handful of this diced fruit medley. This blend of freshly diced peaches, pears, apricots, and apples offers 4 grams of fiber per serving. It’s both delicious and heart-healthy! This sweet raisin medley combines five varieties of fresh and delicious raisins to impress your taste buds. Try packing along a serving of raisins for an on-the-go snack or mix them up with some of your favorite nuts. Pistachios are an excellent snack! A yummy benefit of snacking on pistachios is that there are 49 tasty pistachios in a serving, providing 3 grams of fiber and 6 grams of protein. 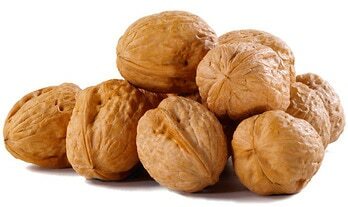 Walnuts are the nut with the highest concentration of heart-protective omega-3 fatty acids. These chopped black walnuts have an intense nutty flavor that works well in salads, quick breads, and hot cereals, but can also be enjoyed as a snack.